Stainless Steel Side Bars are made of T304 marine-grade stainless steel tubing. 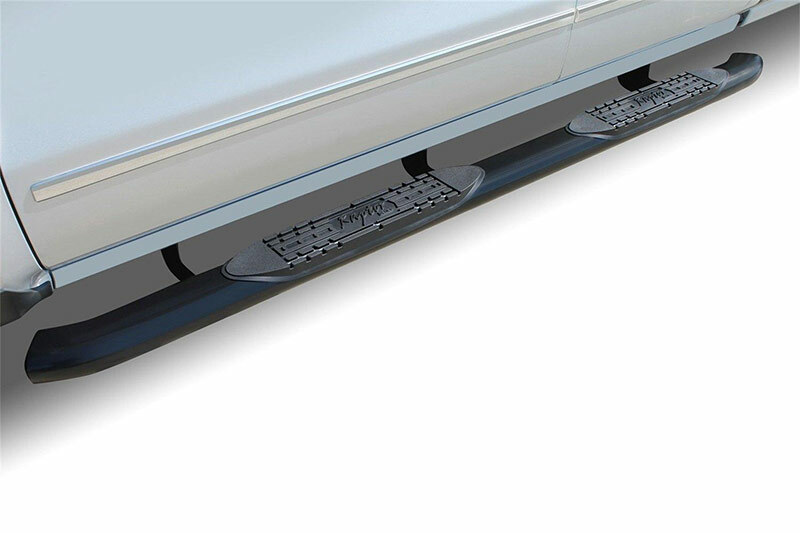 Includes ABS injection-molded plastic step plates and powder-coated vehicle-specific mounting brackets for ease of installation. Available for most popular Trucks, SUVs, and CUVs. Styles include Stainless Steel and Black Powder-Coated Steel. 3" Round and 4”-6” Oval Stainless Steel Side Bars are made of T304 marine-grade stainless steel tubing. 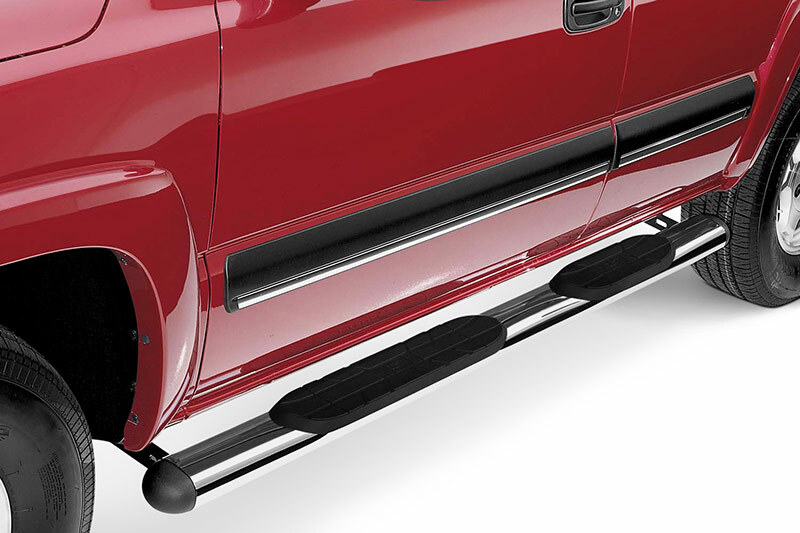 Includes ABS injection-molded plastic step plates and powder-coated vehicle-specific mounting brackets for ease of installation. 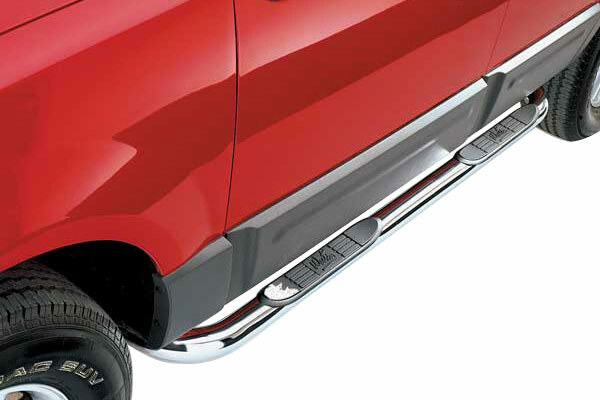 Available for most popular Trucks, SUVs, and CUVs. Styles include Stainless Steel and Black Powder-Coated Steel. 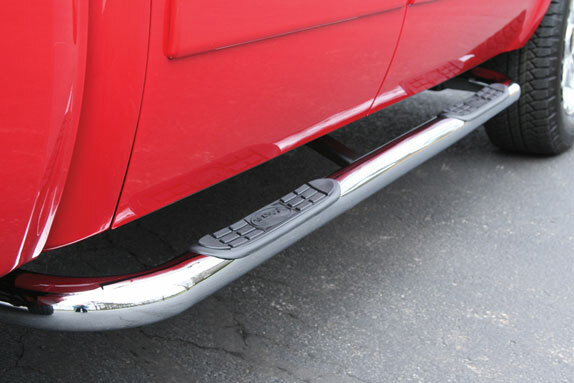 Stainless Steel Round Tube Side Steps carry a Limited Lifetime Warranty to the original owner. Treat yourself to a life of looking good and dependability. 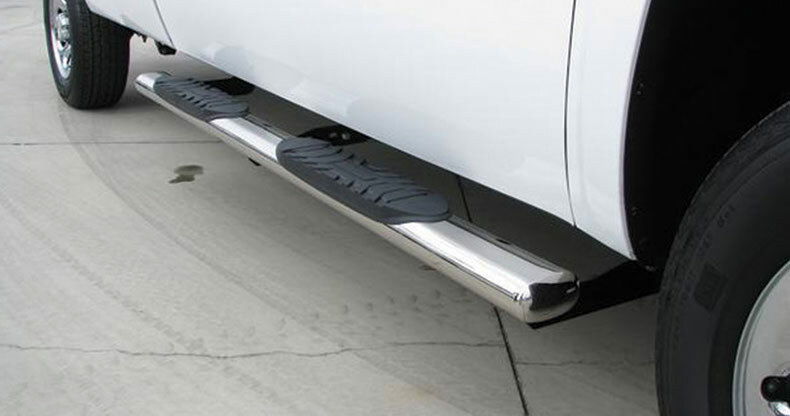 Black Powder-Coated Steel Round Tube Side Steps carry a 3-Year Limited Warranty to the original owner. Warranty covers finish defects from normal use.